Heaven and Hell Coffee Lounge in Soho, W.1. 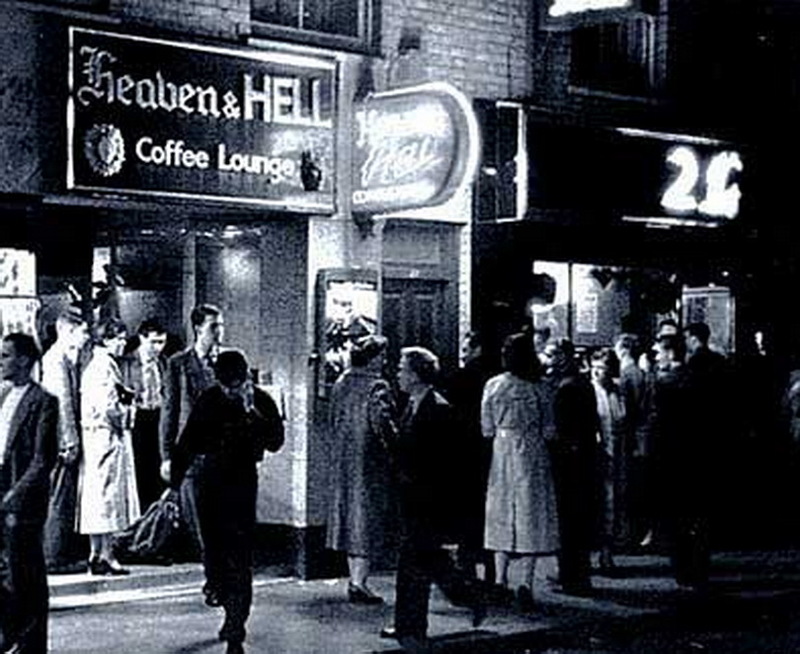 When Ray Jackson and I opened the “Heaven and Hell Coffee Lounge” in Old Compton Street in Soho in the 1950s, London was already really swinging. Whether you had a taste for espresso coffee, French ladies of the night, rock ‘n’ roll, or all three, your desires were catered for in our neighbourhood. “Heaven and Hell Coffee Lounge” in Soho, W.I.